Tagging blogs: Are we missing something? 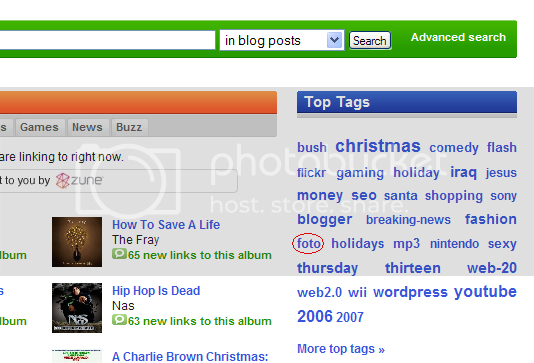 The tag “Foto” is in the popular list. What does that mean? I believe this word belongs to a non-English language. I found it very strange to see that tag. To help other people, there is other way, we can tag with “Photo” and “Foto” so the tagging is bilingual and other people also can find that very easily. Tagging is the only way which make us reachable to post. We should tag nicely. Who would like to give me some guidelines of tagging your posts? Please share your comments. « Need for Speed: Carbon - Whatâs next?